“What are the verbal dyslexia symptoms?” asked Sherry, a worried and concerned mom. Her daughter, Jenna, was in kindergarten and her teacher told her mom that she thought Jenna was going to need special reading instruction in first grade because she had verbal dyslexia. I explained to her, as I explain to all parents who want to know what they can do if someone has told them that their child exhibits verbal dyslexia symptoms, this is not a reading disorder. In fact, it’s not even a documented disorder. The proponents of verbal dyslexia describe children with problems that involve language and communication. It is referred to as aphasia in the DSM-4, the resource for learning disorders. Aphasia is associated with speech and language. It is difficult to understand what these children are saying. In addition, it’s difficult for these children to produce speech and retrieve sounds. These children need the services of speech and language specialists. Eventually, when these children begin to read and write, they may also have difficulty. At that time they may be diagnosed with dyslexia, because these children will likely have difficulty applying a sound to an image. At that point her daughter may need special reading instruction. In the meantime, if she did have aphasia, or verbal dyslexia, as the teacher referred to it, she would need to see a speech and language specialist. In fact, speech and language services are given to these children as young as possible. But it’s never too late to start remediation. If you’re concerned that your child has a speech and language disorder, call us. We can help you understand what you’ll need to talk to your child’s teacher, the school psychologist, the nurse, and your pediatrician about. We can also provide to you resources to help you understand what’s in store. In fact, if your child is two, three or four, we can tell you who to contact at your local school district. Your child is probably eligible for a free evaluation and remediation before even starting school. My grandaughter who is 3.5 years old has been having speech therapy for over a year. She is very bright but it is almost impossible to understand what she has to say. Do you know of anyone in Canada that may be able to help her? I have spoken with several individuals about verbal dyslexia but they just say she is in the 13 percentile for speech and has a delay. What games or ideas can you suggest? Del, we primarily work with children who have achieved school age, so our formal experience with younger children is limited, especially with relation to language-related disorders. Since your granddaughter has been in speech therapy for over a year, I’m sure her therapist has performed an assessment to identify as specifically as possible what the contributing factors are. Remember that different children progress at different speeds on different tasks and unless there are other developmental milestones that your granddaughter hasn’t met, it may just be that her brain is not quite ready for her to develop the oral-motor skills she needs to speak clearly. If it isn’t, trying to get her to speak intelligibly would be like trying to get a baby to eat steak before he has teeth—you’ll create more problems than you’ll solve. Consult the speech therapist for ideas on how you can best facilitate and build on what is happening in therapy. Your right about what she said and they don’t always got it exactly right. Lol. Im an adult with verbal dyslexia too. My dyslexia also affects my writing and memory. 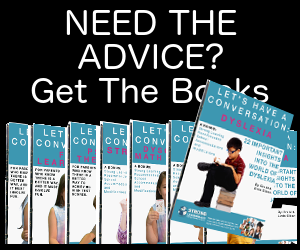 Dyslexia to me is like all the information coming in is understood but everything going out is not always correct. I could be saying a sentience, but it comes out weird. Most people will try to avoid me because of this. If I tried to give directions, I would reverse left or right. Sometimes, I will create a new word or join two different names. I sometimes will skip a word when Im speak or writing. I was scolded a lot when I was a kid and and didn’t get enough help or to much help when i shouldn’t have from teachers. They kept telling me that i needed it and in fact I knew I could do it. It was very annoying. It gets worse when I’m tired and not alert. I found that if I can imagine a picture in my head, I can remember things BETTER. Ive looked up different ways to learn and found around the short term memory problem. Like, comparing it to something else: items, places, and people ect. I would seriously look into 5 different ways of looking if you have little one. This dyslexia is in my family my father and brother. Thank you for your comment about dyslexia. Yes, often dyslexia runs in families. 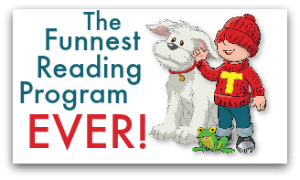 Explore reading centers and educational consultants for getting help. 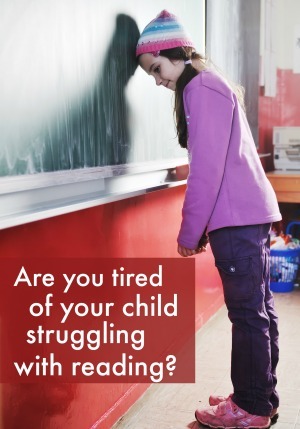 You can improve your reading and other basic skills with the right assistance. Unfortunately, Rachel, your child will not likely “snap out of it.” If your son has had difficulty with speech since birth, the source of his problems are most likely neurological—related to how the brain controls language and speech. It sounds like the speech teachers have done an assessment of specific impairments and they will be your best bet for determining what strategies will be best to help him. Talk with your pediatrician, too, if you haven’t yet. If he is being bullied because of his difficulties, please notify the principal of the school and your son’s teachers—he may not be the only one. What you describe is not Verbal Dyslexia. I have Verbal Dyslexia and I do not have trouble with sounds in speech. It doesnt take a genius either to figure out what it refers to. Dyslexics see letters backwards. Verbal dyslexics can write disordered, talk disordered and even hear things disordered. You tell them to do something and they do the opposite. This IS a disorder. I know an expert on it that completed her Dissertation on this condition. Thank you, Helen. My spouse had verbal dyslexia and we dealt with it with a lot of shared laughter. The errors in reading made for some very funny sign reading which, rendered out loud, were often great belly-laughers. 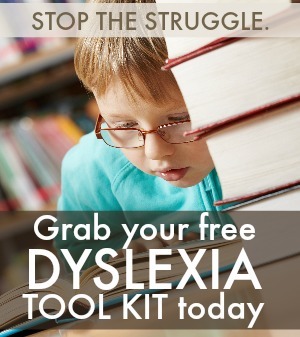 It does not go away… so you have to share the emotional responses of the dyslexic and be a positive partner. I’m and adult 28 Diagnosed as a child with ADHD and Dyslexia. Like many young boys I think I was mis-diagnosed with ADHD as my hyperactivity and attention deficit faded as I got older and I quit taking meds in the 8th grade without much consequence on my academics. My school related problems were more related to not doing homework or participating my Mother was often brought into school and asked why and how I scored 80 and above on exams but did nothing else. Her simple response was he’s bored!! She was right! Anyways back to the Dyslexia I still have problems with this but I’ve found ways to compensate. Now the Verbal Dyslexia as I’ve called it for years now is when for some reason when I speak Ill sometimes reverse the order of the first two words I’m saying or mix the first 2 words together and it comes out like bleeeh. For an example Ill re type how I might have said this past sentence if I were to verbalize it. It’s like for some reason sometimes when I talk I jumble the first 2 words of a verbal sentence up. hi ive had the same problem as aaron describes since i could remember i would replace letters in my head before talking if i was thinking “good morning” id say “mood gorning” and id often stop midway with a bleh as aaron described. i didnt think about it really until the patterns were obvious(i would replace the letters and repeat them verbally without flaw) it took a while for me to explain to my mom since my older sister had dyslexia and she would compare that to me and assume i was fine since it didnt affect me as bad im happy to here that im not the only one with this problem. yet i think more people suffer from it than they know. Thank you Jaylin for your comment. I think it would be a good idea for you to ask your parents to talk to your teacher or school counselor to see what kind of help you can get. Just because your problem isn’t as serious as your sister’s doesn’t mean you don’t deserve to get help. As a retired elementary school teacher, I have become a tutor for LD adults in our local literacy program. After a year of working with a 38 year-old man, I have come to a few conclusions about him and his “disabilities.” First conclusion: he is very bright, understands everything we talk about in our sessions, and remembers more things than I do about stories, etc.! He is able to apply concepts such as literary themes to what we read. He has a serious speech impediment (due to a cleft palate – repaired as an infant – and dental problems with his front teeth – it seems he grinds his teeth and these teeth are “filed down” considerably. Second conclusion: even though he learns, understands, reason things out, and remembers, besides his speech challenges, he doesn’t seem to be able to put sentences together to communicate. It’s this latter conclusion that I am having trouble dealing with. Any help would be appreciated. Without seeing your student, it’s hard to diagnose what’s going one. I would suggest that he be tested for sensory processing disorders. And certainly it would help if he were to have the dental problems taken care of. Teeth grinding is a type of anxiety disorder. He probably needs more help than tutoring for reading. A psychologist with experience with LD could help him. Thanks for your comment, Rex. I would recommend that your get professional help for your hearing. In your example, you list needing to remember three things at once. Keep in mind, a lot of people wouldn’t be able to do remember that much. I do have Dyslexia since I was a child that was with read and writing and numbers. My 7 yo daughter has always struggled putting her thoughts into verbal speech. She is obviously intelligent, her ideas are well thought out, but there is a disconnect with what she is thinking and “getting it out”. She will repeat the beginning of her sentence numerous times before her idea is spoken. It seems to be happening more frequently. As I’m researching I keep finding information about Dyslexia. Is this possibly her issue? If so where do I look for help for her? My niece is four years old and since she began speaking, she speaks in code. She has no trouble understanding verbal communication, she has tested in the 99 percentile in intelligence by a group of speech therapists and she’s a healthy, happy little girl who also shows mild signs of obsessive/compulsive disorder. The therapists have been working with her on verbalization. But they haven’t addressed that she speaks in code. She says many of her words exactly in reverse. Examples are klat for talk, rednu for under, ert for tree, feel for leaf. She also says daby for baby, dounce for bounce, lack for sack, blay for play. She can perfectly pronounce her words and letters. How do we approach her therapists with this? I hate to see time going by on teaching her to pronounce cat, can, cup, etc., when she’s capable of saying a hard ‘c’ without difficulty. Are the therapists on the right track? Hello. I am a SLP working with a 41/2 year old boy who is struggling with specific sounds in all positions in words , especially /s/ and /z/. He often says he doesn’t hear the sounds. Recent hearing test reveal good hearing. When he produces sounds it is with strong visual and verbal prompts. Progress has been minimal since September. He is a bright boy but struggles communicating his ideas intelligibly. Both parents have dyslexia. I have been using a more traditional articulation approach, but progress has been slow. Any ideas where to go with this. Might it be verbal dyslexia?